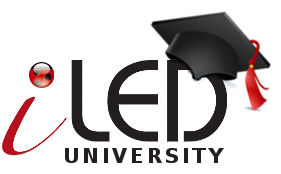 iLed is proud to offer a complete and comprehensive dealer training and education program. Courses cover the essentials to advanced certification and are designed to improve your onsite commissioning skills. Courses are modular and can be completed over a period of time, limiting the disruption to your business. The eZi-DA66/DA64 is a full function distributed audio system, which combines the functions of a preamplifier, a full audio matrix, and 50-watt power amplifiers for driving speakers in 6/4 separate zones. EZI-DA6x-HD has a serial port to send commands to an HD matrix to allow HDTV source selection in each zone to follow the selected zone source. Additionally, up to three units can be combined to provide full signal switching and amplification to up to 18 different speaker zones. The VSSL amplifier range is a full function multiroom amplifier that can be stacked up to 18 zones. Featuring build in streams allowing both Airplay and Chromecast connectivity directly to the amp from your tablet or phone as well as additional line level inputs to offer configurations of 3:3:3 or 6:6:6. The VSSL amplifier is compatible with most major control systems and features Alexa Voice control. Today’s networks must be flexible, robust and as effective as the organizations they serve. Often comprised of different sizes, infrastructures and locations, these distributed networks can place an enormous burden on in-house IT personnel or managed service providers looking to manage, monitor and upgrade a potentially vast number of Access Points and Switches. At Rako, we realise that planning a project can be confusing, especially with the vast array of lamp types and fittings now available. With an unparalleled range of products, together with a hugely experienced support team and network of trained dealers, there’s always someone able and willing to help. MX HomePro is designed to meet the needs of today’s connected consumers and meld seamlessly into their unplugged lifestyles. Easy to install and program, MX HomePro offers users one-touch control of their home entertainment as well as the Internet of Things: lighting, thermostats, security cameras and popular Z-Wave® products. In addition to an ergonomic URC Remote Control and compact Smart Hub, the MX HomePro Mobile App delivers on-the-go control via smartphone and tablet. Simple programming allows installers and users to get started quickly. And the MX HomePro Editor helps dealers maintain customers’ systems from anywhere with web access, without rolling a truck. The cloud-based Editor software offers convenient programming via PC, Mac, smartphone or tablet. URCs new Total Control 2 software leads the way in control system programming with its intuitive accelerate feature set. URC takes complete residential and commercial automation to new levels with open platform integration and advanced automation features. PC, Mac, smartphone or tablet. Includes MRX-8 Controller, PIR Learner, Apparel and more. URC certification is by invitation only. Contact your sales rep for information or enquire at sales@iled.co.za for qualifying criteria. What is URC Total Control? Step 10 – Editing UI’s = Accelerate! Step 12 – Macro editing = Accelerate! As an early Adopter Member of the HDBaseT Alliance, WyreStorm is a leader in the development and commercialization of cutting edge HDBaseT technology. From a simple WyreStorm 4 x 4 Matrix Switcher Kit with 2-Way IR to the extremely versatile WyreStorm 8 x 8 Class A HDBaseT 4K Matrix Switcher with HDMI Outputs Featuring 5Play™, our HDBaseT Switchers are the first choice for system designers around the world. WyreStorm’s award-winning NetworkHD is a scalable AV over IP solution for distribution of high definition AV content to screens and video walls over a standard Ethernet network. NetworkHD 100 and 200-Series provides high quality, low-bandwidth H.264 video transmission with resolutions up to 1920×1200 at 60Hz and PoE, CEC, and 2-way RS-232, tailor-made for medium-to-large scale commercial applications as varied as sports bars, malls, retail stores, universities, automotive dealerships and more. Robust and feature-rich, NetworkHD offers effortless installation and system expansion via plug and play addition of encoders and decoders to deliver AV content to a virtually limitless number of displays for commercial AV distribution of any size. Distech Controls is a leading manufacturer of BMS controllers globally. An Innovative Leader in Energy Management Solutions, Distech Controls provides unique building management technologies and services that optimize energy efficiency and comfort in buildings, all the while reducing operating costs. This is accomplished with a comprehensive line of BACnet, LonWorks and IP controllers in conjunction with the Niagara Framework and peripherals. Our training offerings are also flexible. Our training program provides installers, dealer system integrators and end-users with the knowledge and tools necessary to design, program, optimally deploy and operate Distech Controls solutions. Our training offerings are also flexible. We provide classroom training at our offices in Ruimsig, Johannesburg. Also, we provide training at authorized system integrators regional offices, at the customer’s location or at the customer’s job site. We provide a high level of professional, hands-on and applications-oriented technical training, and step-by-step handled lab material. The goal of each of our training sessions is to help you achieve the technical expertise necessary to support your team and your customers. Training price includes the EC-Net demo licence (for 4001 training) bind to the integrator’s computer, manuals, drinks and lunches. Includes all required software engineering licenses (perpetual) and registration fees.